May 12, 2016 By Allyson 3 Comments This post may contain affiliate links. Read my disclosure policy. 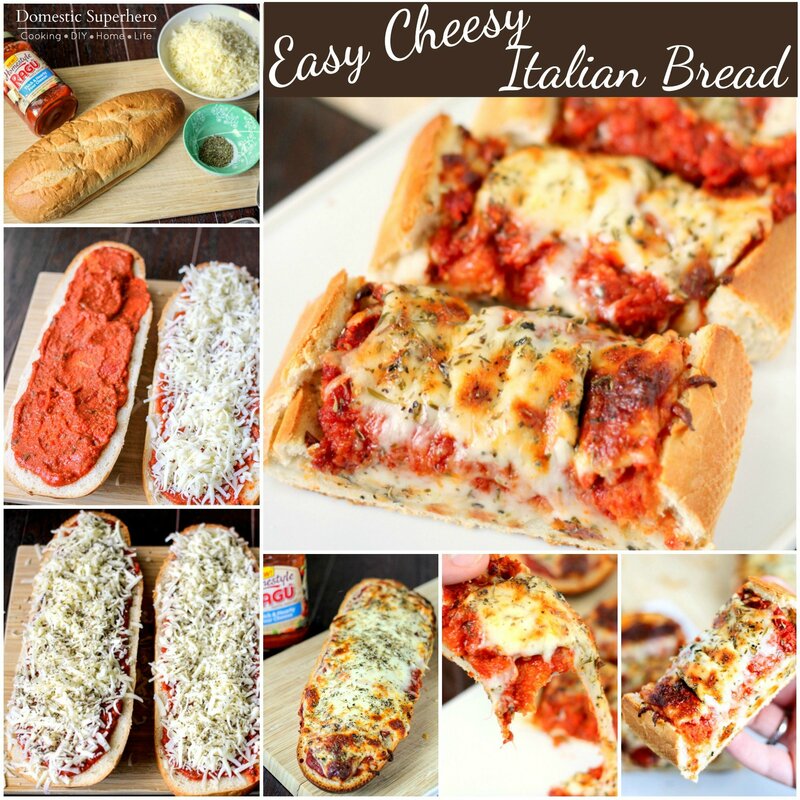 This delicious Easy Cheesy Italian Bread has big bold flavor, and takes only a few minutes to put together. Serve with a side salad and you have the perfect meal, or use for a party appetizer and everyone will be pleased. Over the years our family has developed a few traditions and Italian bread is one of them. I love cooking up this bread with my son, Austin, and he loves it as well. We usually make it on the weekend for lunch or dinner, and serve it with a big salad or some fruit salad. 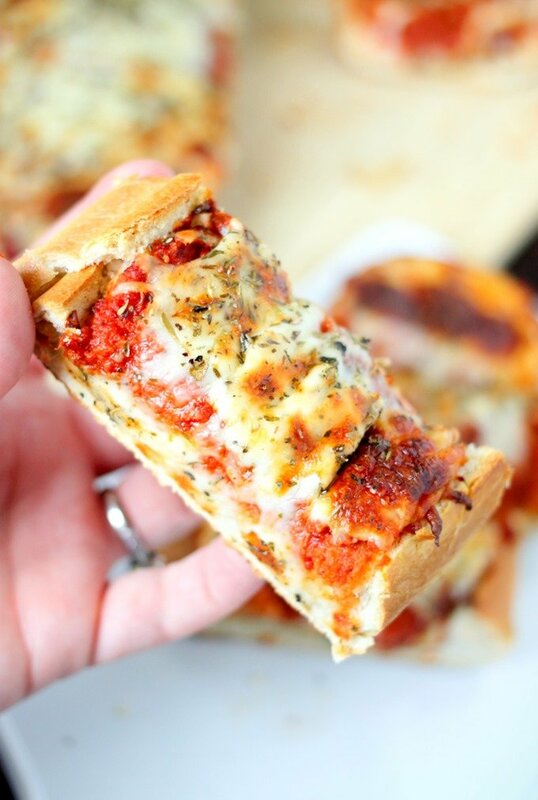 Austin is a pretty picky eater, and saucy cheesy bread has always been one thing he will eat. Bringing my kids into the kitchen is something that is really important to me. We spend time together as a family, and I also teach them valuable lessons on how to cook. I think learning to cook is something everyone should at least know the basics of, so teaching them from a young age is an important tradition and we make lots of fun memories. Want to make this bread yourself? Follow this easy video! Slice your bread in half, lengthwise. 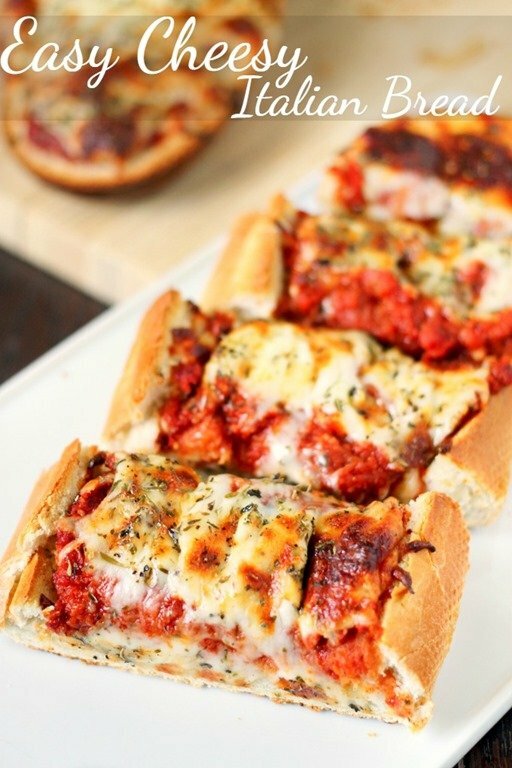 Spread 1/2 cup of sauce on each half of the loaf, then top with cheese. Sprinkle the Italian seasoning over the cheese. Place into preheated oven and cook for 10-12 minutes, or until bread is getting a bit crisp and cheese is melted and bubbly. Remove from oven and allow to cool a few minutes. 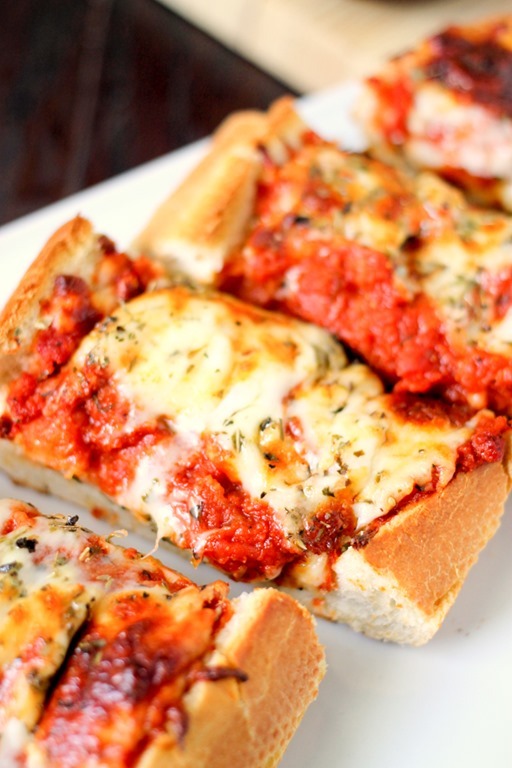 Slice into sticks and serve immediately - enjoy! What a perfect appetizer for a large crowd! It looks so tasty!